Discover the simple method of Egyptian multiplication that can be used to work out the product of any number, no matter how large, using only powers of two. The ancient Egyptians began producing scrolls made from papyrus over 5000 years ago. Many of these would survive millennia and provide valuable information about how they lived. In 1858, one such preserved ancient papyrus was discovered in Egypt. This mysterious record would reveal much about the history of mathematics. It's called the Rhind Mathematical Papyrus. Dr Annette Imhausen Cambridge University, UK – "The Rhind Mathematical Papyrus is the most important document we have today for Egyptian mathematics. We get a good overview of what types of problems the Egyptians would have dealt with in their mathematics. We also get, explicitly stated, how multiplications and divisions were carried out." 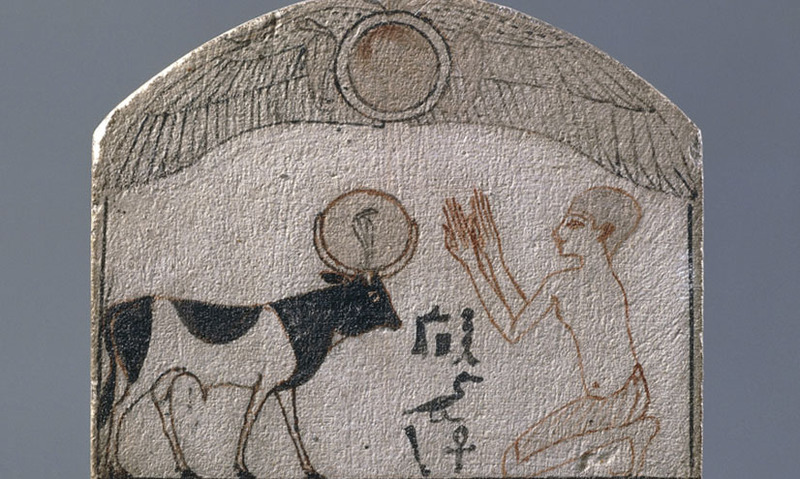 Multiplication would have become widely used as trade was established across Egypt. And simple doubling was all that was required to multiply any number. Say, for instance a trader wanted to multiply three by six. First he creates two columns. He puts three beans on one side, because three is the number being multiplied, and one bean on the other side, to represent the starting value. Then he doubles the number of beans and adds these to each column. Three becomes six, then 12. On the right, one doubles to two, then four. He looks at the second column to see which rows add to make six – the second number being multiplied. That's 6 + 12 = 18. This method of multiplication works because it is based on the fact that every number can be expressed either as a power of two. Or as the sum of powers of two. In this system the beans in the second column represent the powers of two. And the first column shows these powers multiplied by three. Which can be expressed as 3 x 6. 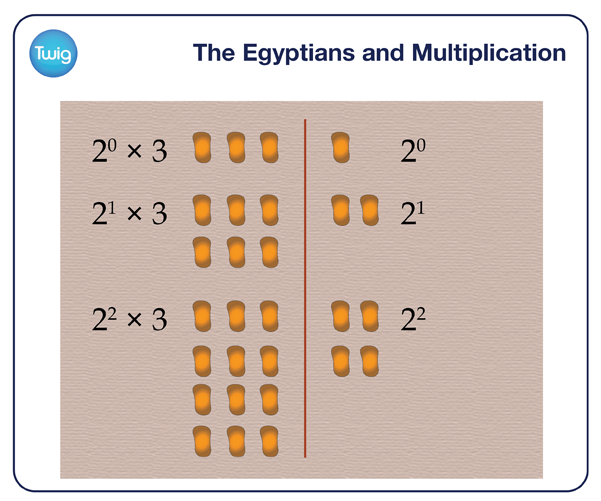 This Egyptian method of multiplication works for any size of number, large or small. This made possible the wide variety of calculations that were needed, to allow Egyptian trade and civilisation to flourish.